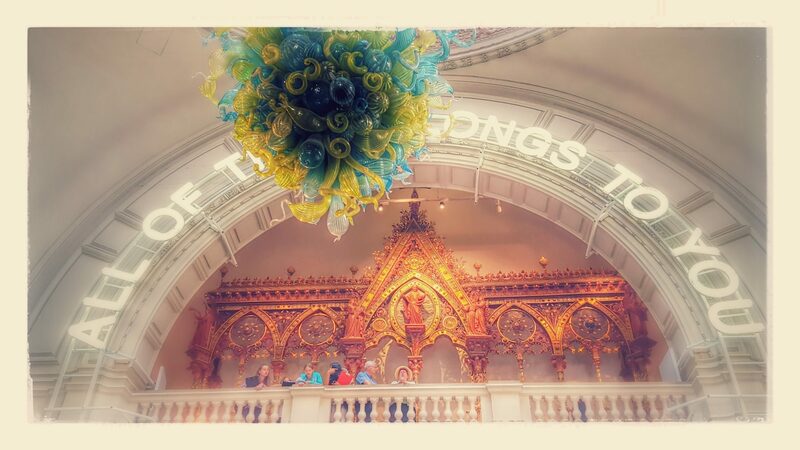 If I had to choose just one London museum it would be the Victoria and Albert. Amazing displays to marvel at, the prettiest cafe in town and an excellent shop. What I love most about it is that the incredible, diverse collection all belongs to me as the neon sign proclaims in the main entrance hall. Love the picture what does it say above the entry? I haven’t visited many places in London but I would love to take my boys! All this belongs to you! My boys love it, so much to see.